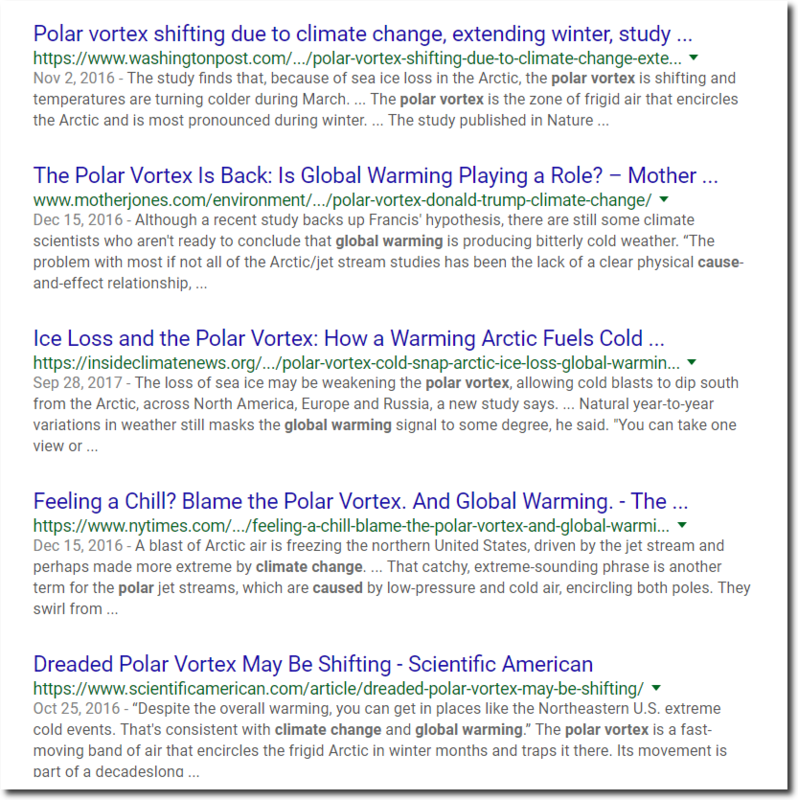 Climate experts say the polar vortex is caused by global warming. This creates a serious dilemma! The colder it gets, the more fossil fuels get burned. This causes more cold, and more burning of fossil fuels – thus more global warming and more cold. If we keep burning fossil fuels, we are all going to freeze to death! Democrats need to stop heating their homes, if they want to have any chance to stay warm. Anyone every watch Piers Corbyn’s presentation about the jet stream being effected by solar activity? He claims that with lower solar activity, longer undulations, or fluctuations are created, like when it dives deeper south. Does anyone know more about this? I’ve seen those presentations as well and he may be right but it’s over my pay grade. What isn’t over my head is prediction accuracy. He’s pretty good by any measure. Sort of like David Dilley on hurricanes. In late 2007 I put it to Piers that daily solar wind speed changes have a fairly immediate effect on the jet stream latitude, he argued against it for quite a while before acknowledging it. I believe that is correct. It seems that when solar activity declines the jet stream gets loopier and thus things get stormier and we get the dreaded Polar Vortex coming down to grace us with it’s presence. Old man winter asserting his dominance and letting everyone know he’s the boss for now.